Our monthly card class was so much fun last night. A huge thanks to all who joined us. 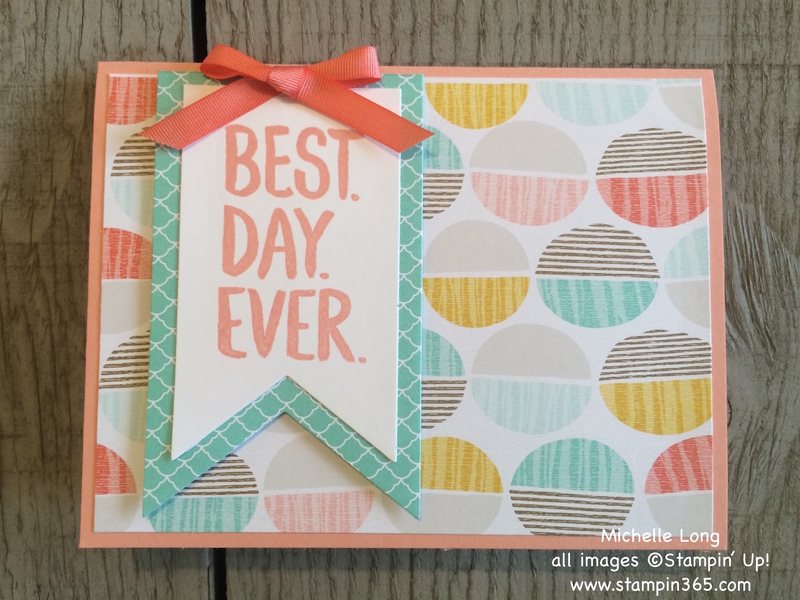 This Best Day Ever card was a quick and easy one we created in the class. I really love the summery colors of the coordinating Best Year Ever DSP and Accessory Pack. Is anyone else ready for some summer weather? I know I am! A very fun card, congratulations. Love it….so glad I got to make one! The card class was soo much fun….I’d like to come every month! Thank you! Yay! I’m so glad you enjoyed our monthly cards and cupcakes class and I would love to have you join us every month!